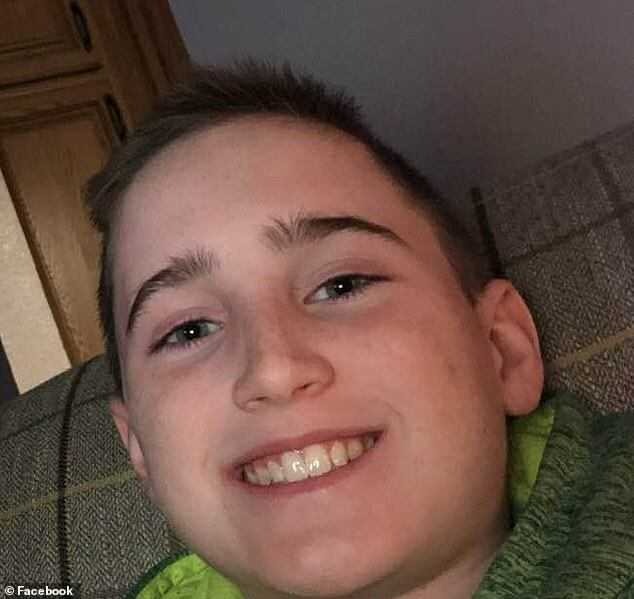 Missing Iowa teenager Corey Brown was found dead Sunday, five days after his parents reported he ran away from their home during a snowstorm because he was angry they took his phone away as punishment. The 13-year-old's body was found around 10.45am in a secluded area west of Marshalltown, local law enforcement said. They did not reveal more information on the exact location as the investigation was ongoing. 'At this time, there is no evidence or information that indicates criminal activity is connected to this missing person/death investigation. 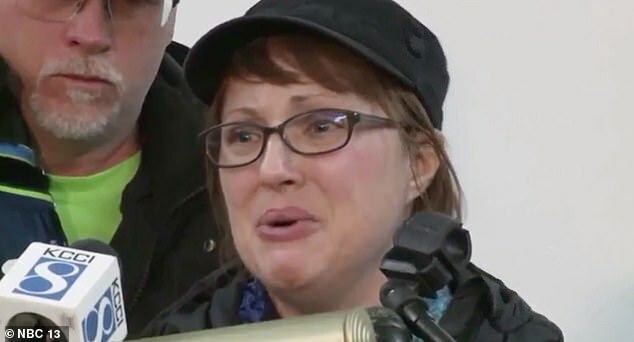 However, this is still an active investigation and all possible scenarios will be thoroughly investigated,' the Marshalltown Police Department said in a statement. Several inches of snow fell and temperatures plunged below zero degrees last week while Corey was missing. At least 14 agencies and 'countless fire and EMS departments' were involved in the search. Brown's family and police thanked them for all providing 'exceptionally professional service under very difficult conditions' in a statement. 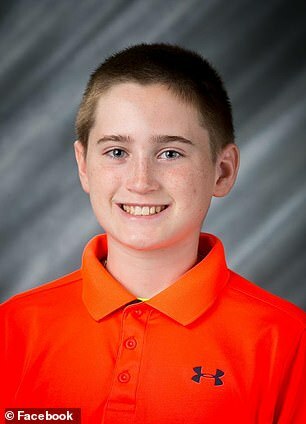 The eighth-grader's school district which covered Brown's Miller Middle School and the Marshalltown High School, was 'saddened' by the news. Brown went missing since Tuesday night after he left home following a fight with his parents during the cold weather. Brown was last seen wearing a Seattle Seahawks cap, a red shirt and black pants around 11.15pm in an area near Marshalltown where he lived. Police Chief Mike Tupper said he was growing increasingly concerned due to the length of time Corey has been missing and because of adverse weather conditions. 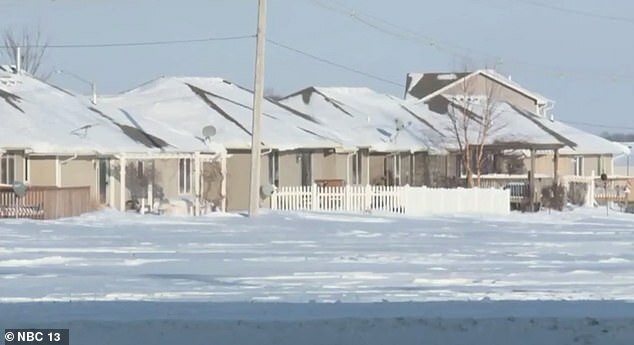 He asked property owners to check garages, sheds and vehicles in case the teen sought refuge from the snowstorm, which moved into the area earlier this week. Footage from the family's security system showed Corey walking away from their home Tuesday night after he was scolded. His parents Michelle and Craig Brown, along with investigators, held a news conference locally to raise awareness about their missing son earlier in the week. His mother told KCCI: 'Corey, you know how much we love you. And I’m not going to stop until we find you. If you’re out there, please come home. Search efforts for Corey were hampered late Thursday by subfreezing temperatures and blustery winds. Counselors had been made available for students at Marshalltown High School, where Corey is in the eighth grade, KCCI reported. 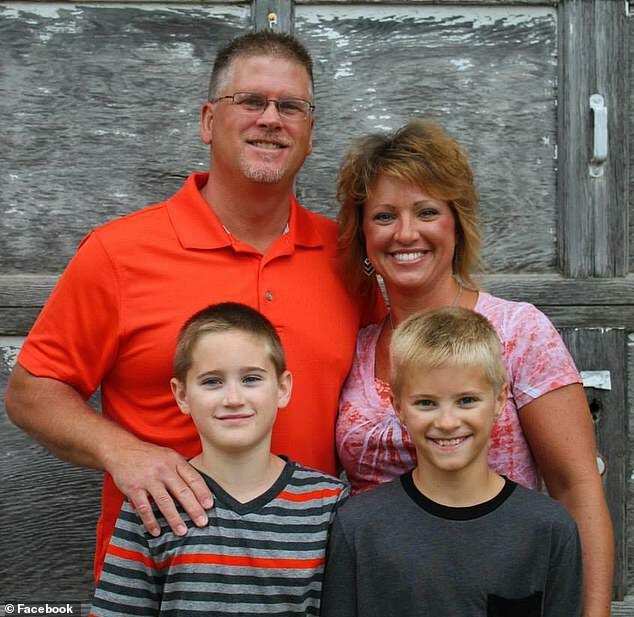 'The school district has contacted all of our parents through email, saying if you see him, contact the police department,' school district spokesman Andrew Potter told the station.